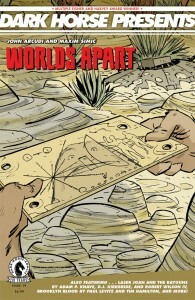 The latest collection of short serials from Dark Horse see’s the start of two new stories. The first is Worlds Apart by John Arcudi and Maxim Simi, which at first seems to be a commentary on race, though this time the persecuted people are at the moment, of unknown descent and origin. The other new start is Laser Joan and the Rayguns. Right from the start the first thing that went through my mind is why are Jem and the Holograms being ripped off? Heck, there’s even an opposing evil band. Thankfully though, that part of the story soon, ends and we’re back in present day where Joan is retired until the government comes for her help. 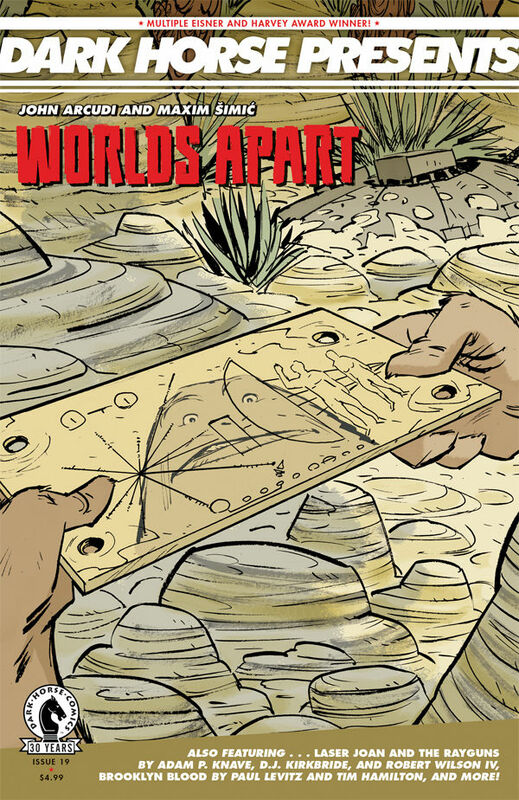 I’m not sure where, like Worlds Apart, this is going yet, but with strong opening installments, it’s looking good for both. The rest of the book is filled with continuing chapters of Kyrra: The Alien Jungle Girl who is still on the run, Finder: Chase the Lady, in which I still really can’t make out what is really going on. The second best story is Sundown Crossroads where Katie is possessed by a dead lawyer who needs her help protecting his daughter, only problem is that Katie is afraid to go outside. The best though is Paul Levitz and Tim Hamilton’s Brooklyn Blood‘. The third chapter starts with Detectives O’Conner and Hasan investigating a second bizarre murder involving a plane crash that occurred decades earlier. O’Conner, during all of this, has to deal with hyper realistic hallucinations that are somehow connected to their investigation.